Publication date: 1 January 2005, re-issued 30 January 2010. Consciousness seems to present the biggest challenge for a science of the mind. Can science explain the feel of conscious experience—what it is like to have a throbbing headache, or see a sunset, or smell freshly ground coffee? Are such experiences just complex physical phenomena or is there more to them than a physical account can ever capture? Can we explain consciousness in functional terms? 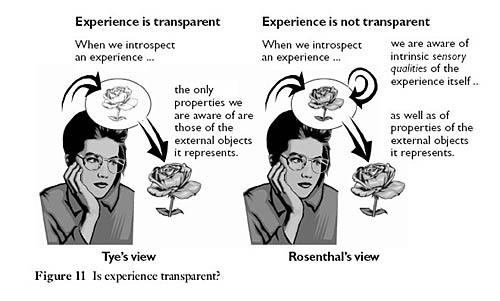 Is the feel of a conscious experience a matter of what it represents? Is it the product of a form of inner awareness? Could it be that our view of consciousness is mistaken and that we need to rethink our assumptions about it? These questions go to the heart of our conception of ourselves and our place in the universe, and they are the subject of vigorous debate among contemporary philosophers. This book aims to make recent philosophical work on consciousness accessible to newcomers to the area, using techniques the OU has successfully developed over the last 30 years—guiding students through the key positions and arguments, and using carefully edited readings and extensive questions, activities, and discussions of answers. It provides a sound grounding in the current debate about consciousness and will enable the reader to adopt an informed position on the issue. Annotated Further Reading sections at the end of each chapter suggest next steps for those who wish to explore the subject further. Although written for an Open University course, the book is completely self-contained and assumes no prior knowledge of the subject area. 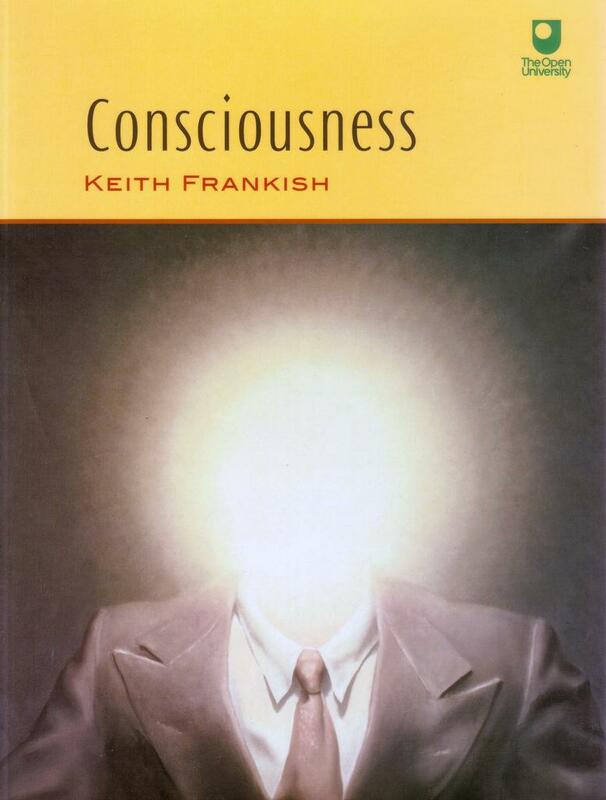 It is an ideal introduction to the philosophy of consciousness, both for the general reader and for students. 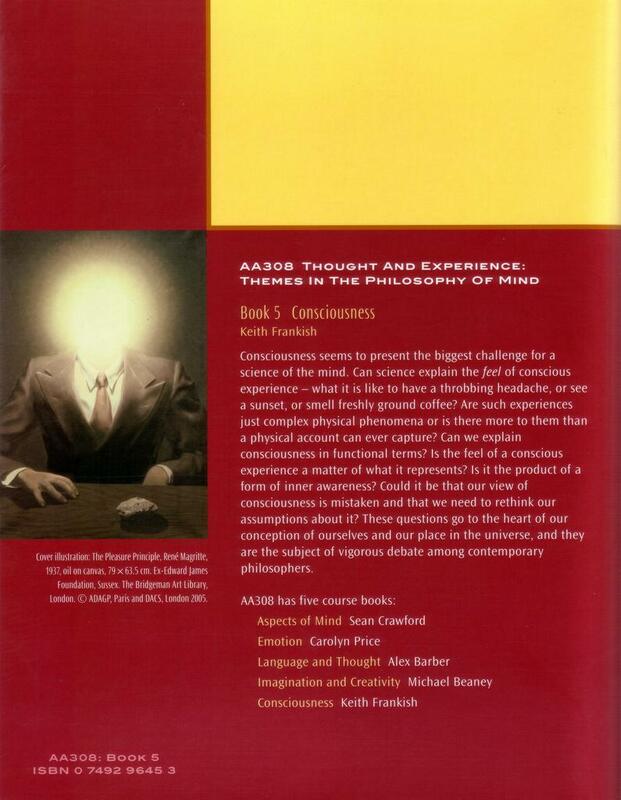 Consciousness was a set book for the Open University Course, AA308 Thought and Experience: Themes in the Philosophy of Mind. EDITED READINGS (1) David J. Chalmers, A catalog of conscious experiences, (2) David J. Chalmers, The easy problems and the hard problem, (3) Frank Jackson, The knowledge argument (4) David J. Chalmers, The conceivability of zombies, (5) David J. Chalmers, Naturalistic dualism, (6) Frank Jackson, The bogey of epiphenomenalism, (7) David J. Chalmers, The paradox of phenomenal judgment, (8) David J. Chalmers, Panprotopsychism, (9) Daniel C. Dennett, Mary and the blue banana, (10) David Lewis, The ability hypothesis, (11) Michael Tye, Mary’s room, (12) Daniel C. Dennett, The unimagined preposterousness of zombies, (13) David Papineau, Conceivability and possibility, (14) Peter Carruthers, On properties and recognitional concepts, (15) Joseph Levine, The explanatory gap, (16) Michael Tye, Phenomenal content: the PANIC theory, (17) Michael Tye, The intentionality of feelings and experiences, (18) Peter Carruthers, A problem for FOR-theories, (19) David Rosenthal, Explaining consciousness, (20) Daniel C. Dennett, Multiple drafts and the stream of consciousness. Here is an extract from the book (pdf format) .